3 cent nickels were struck from 1865 through 1889 and designed by James B. Longacre. Despite a production range spanning a quarter century during a period in US coinage history when designs were typically modified in one way or another, the 3 cent nickel retained its same general design for the course of its time. The 3 cent nickel series boasts a few significant varieties, including the 1873 Close 3, 1873 Open 3, and 18878 7/6 overdate. However, most issues in this series are standard and relatively common, especially in the lower grades among earlier dates. Dealers and collectors will find some degree of challenge in obtaining most of the dates from 1877 through 1889, some of which are proof-only issues and others that are comparatively scarce. These include the 1877, 1878, and 1886 proof-only issues and all business-strike issues from 1882 through 1887. 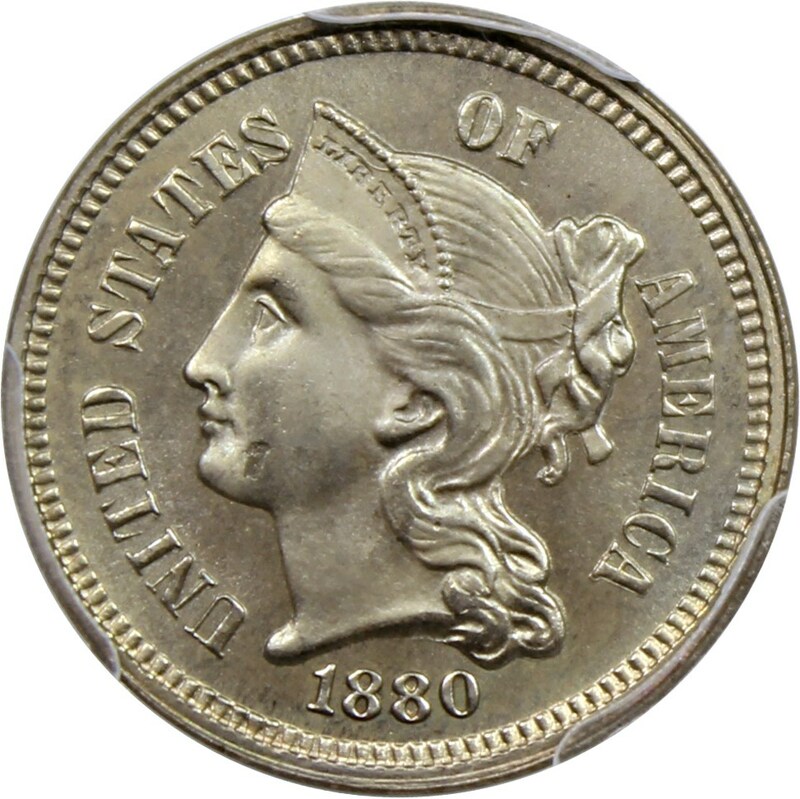 Also scarce are the 1879, 1880, 1888, and 1889 3 cent nickels. This leaves only the 1881 3 cent nickel, which is priced more on par with the more common pre-1877 issues.